3 flexible heat/speed settings for more control. Concentrator for quick drying and easy styling. 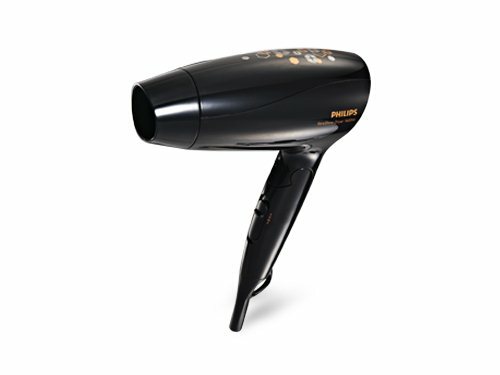 With advanced Philips EHD technology, uniquely designed air outlet to ensure heat is always distributed evenly. Ionic conditioning for shiny, frizz-free hair. ThermoProtect retains constant caring temperature.